On October 17, 2017, the Acting Director of Immigration and Customs Enforcement ("ICE"), Tom Homan, announced that he had given instructions to ramp up immigration enforcement at worksites by four to five times current levels, reversing a slowdown that took place toward the end of President Barack Obama’s tenure. "We’re taking worksite enforcement very hard this year. We’ve already increased the number of inspections and worksite operations, you’re going to see that significantly increase this next fiscal year," Homan said. ICE spokeswoman Liz Johnson said the strategy "continues to address both" employers and employees. "While we focus on the criminal prosecution of employers who knowingly hire illegal workers, under the current administration’s enforcement priorities, workers encountered during these investigations who are unauthorized to remain in the United States are also subject to administrative arrest and removal from the country," Johnson said. Worksite raids can be unsettling and stressful for employers and employees alike, particularly because, unlike an 1-9 audit, raids are conducted without warning or advance notice. Although worksite raids occur unexpectedly, they are not random. They result instead from lead-driven investigations and evidence obtained over many months of research and surveillance. Evidence is collected against an employer using traditional criminal investigation techniques including the use of confidential informants, body wiretaps, and data from governmental agencies. When ICE was created in 2003, it limited its raids to sensitive facilities such as military bases, airports, shipyards, chemical plants, and power plants. Beginning around 2006, ICE shifted its focus toward workplaces associated with employing large numbers of undocumented workers, such as the construction and meatpacking industries. Today, companies that are subject to worksite raids typically have done something to attract ICE’s attention. In light of the Trump Administration’s focus on immigration enforcement, employers need to be aware of what rights and responsibilities they have when ICE arrives at the worksite. Should your workplace be targeted for a raid, an agent will arrive and serve a search warrant upon a receptionist or company representative. A valid search warrant is a document signed and dated by a judge which states the specific time frame within which a search may be conducted. The warrant will describe the premises to be searched and specific items to be searched or seized. These items may include payroll records, Forms I-9, Social Security Administration correspondence, and other employee identification records. The employer can refuse to consent to the search, but this only allows the employer to challenge the search at a later time if there are grounds to do so. The search will proceed with or without the employer’s consent. If no warrant is presented, the employer has the right to refuse the search. An initial step employers should take if ICE arrives at the worksite is to call the employer’s attorney promptly, so that the lawyer can either come to the worksite or speak with immigration officers over the phone. However, the worksite raid will not be postponed to await the attorney’s arrival. The employer should record the name of the supervising ICE agent and the name of the U.S. attorney assigned to the case. The employer also should examine the search warrant to ensure that it is signed and being served within the time frame specified and to make certain the search proceeds within the scope of the warrant. That is, to be sure agents search only the area described and the items listed. Immigration officers can demand that equipment or operations be shut down, or they can insist that all employees remain on the premises until they have permission to leave. Employers are allowed to conduct their normal operations as usual, as long as it does not interfere with the immigration officials’ search. ICE will likely select employees to move to a contained area for questioning, while other agents search and seize areas and items described in the warrant. Employers should not direct their employees to refuse to answer questions, but no one is required to consent to interrogation. Members of management should speak with the employer’s attorney before answering anything more than general questions from the agents. During the raid, the employer should have, at a minimum, one company representative follow each agent around the facility, taking notes or videotaping. It is important that the employer does not interfere or block the activities of immigration agents. However, if agents insist on seizing something that is critical to the worksite, employers should make reasonable requests for accommodations. Access should be granted to locked or non-public areas, so long as such areas are listed in the search warrant. If an agent attempts to search an area not permitted by the warrant, simply object and make a record of the objection. If certain documents are privileged, do not prevent the agents from taking them, but record the documents objected to. Immigration officers are required to provide employers an inventory of items taken during a raid. Employers should not engage in any activity that would support a charge for harboring, such as hiding employees, permitting employees to leave the premises during the raid, providing false or misleading information, denying the presence of specific employees named in the warrant, or shredding documents. After a raid has been completed, the employer should notify family members of persons detained. Compile all notes made for counsel marked "Confidential Attorney Client Communication—Prepared at Request of Counsel." Given ICE Acting Director Homan’s October statements projecting that worksite raids will be increasing in the next fiscal year, it is important that employers review their internal procedures so that they are aware of what rights and responsibilities exist in the event ICE arrives at the reception desk. Employers should review these procedures and educate employees accordingly so as to minimize stress and to insure that everyone is informed and cooperative should an investigation take place. 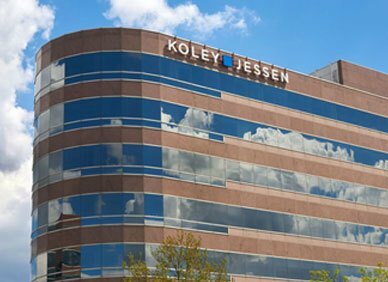 If you have questions about immigration enforcement, or other general questions about employment-based immigration, please contact one of the immigration specialists in Koley Jessen’s Employment, Labor and Benefits Practice Group.